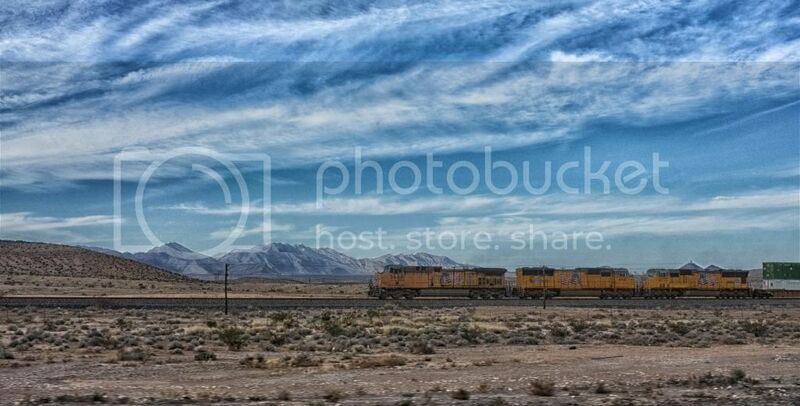 Freight Train crossing the Nevada Desert. Thanks Carole, yes the South West has really stunning skies. The mountain range in the background is the Sierra Nevada. The photo was taken from a car window while traveling on an Interstate running parallel with the railway line.